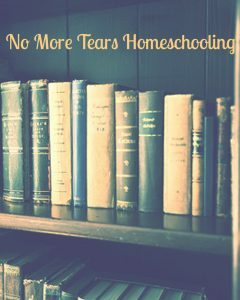 Struggles, frustrations, battles, tears and anger seem to be a regular partner in our homeschooling journey. Lessons can be challenging. Kids get tired and grumpy. Mom gets tired and grumpy. The house is a mess, you’re 3 weeks behind on the math lessons and you’re repeating the same explanation about how to do fractions for the 4th day in a row. There can be many reasons a child struggles with their lessons. 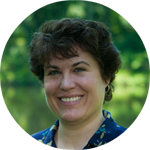 Sometimes it is simply a readiness issue – too much formal schooling, too young has been shown to inhibit a child’s long-term academic potential and actually make it harder for them to excel. Occasionally it is a learning disorder. It’s always wise to get professional testing and evaluation if your child seems truly incapable of doing age-appropriate school lessons. Most of the time it’s an attitude problem, not an academic one. There is a psychological trigger to words like have to and should and it changes the way we think about situations. Using words like have to and should is the language of victims who aren’t in control of their lives. Saying “we have to do math” is often another way of saying “we have to, but we don’t want to.” If mom is talking that way, the kids are thinking that way. People who feel like victims feel as if someone or something else is forcing them to do things they don’t want to do. Thus anything they do is done unwillingly or even put off as long as possible as a form of rebellion against who or whatever is in control. If you children are constantly hearing “you have to get your work done now” It’s like telling them “this is something beyond our control. It’s something we are forced to do, whether we like it or not.” School becomes a task-master, a horrible chore, inflicted upon us by someone bigger and stronger than we are. It turns education into an enemy to be avoided. We crave a sense of control over our lives and anytime we are told we “have to” do something, it takes away that control and triggers an instinctive resistance. As adults, we may be carrying around some school-related resistance from our own childhood. Our memories may be of hard and boring lessons we were forced to complete because we were told that is the only way to learn. When we remember school as unpleasant work that was forced upon us by distracted teachers or demanding parents, then our attitude toward school work is “I have to.” We felt like a helpless victim and we carry that mental picture into our homeschooling efforts. The first part of the solution is to remove the emotion. Instead of saying we “have to” say “we are going to do that lesson from 11 to 11:30.” Once you remove the option to like or dislike something and make it just a thing we get done each day, eventually it becomes something we get done each day, just like eating supper and taking a bath. We just do it because it has to get done. The second part is to make education part of our lifestyle. There is a way to change boring “have-to” school work into enjoyable, engaging, adventures in learning. When encouraged to uncover and develop all their forms of intelligence, children become inquisitive, curious learning machines. School work is no longer a struggle when subjects are taught using methods which tap into the child’s strengths. Discover your child’s intellectual strengths and find simple, no stress methods to teach to those strengths. 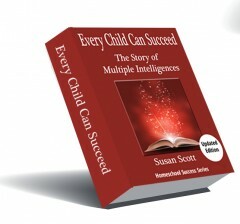 Every Child Can Succeed; the story of Multiple Intelligences will give you fresh insights into your child’s unique potential and gives dozens of examples of no-cost, targeted teaching ideas designed to spark your child’s interest and enthusiasm. Click here for a free sample.